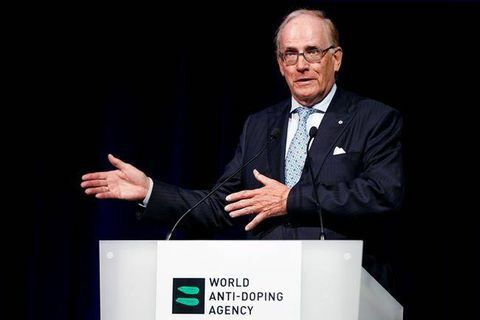 Richard McLaren, investigator and report author for the World Anti-Doping Agency, has been sued by three Russian cyclists. Three Russian cyclists filed a lawsuit in Ontario Superior Court on Monday against the World Anti-Doping Agency and Canadian lawyer Richard McLaren, claiming they were unfairly implicated in an alleged doping scheme that caused them "great reputational harm." In a statement of claim, Kirill Sveshnikov, Dmitry Strakhov and Dmitry Sokolov are seeking $7 million in general and punitive damages, alleging they were banned from the 2016 Rio Games due to a "rushed and compromised investigation." "Together, WADA and Richard McLaren prevented us from reaching our life-long goal of participating in the Rio Olympics, the pinnacle of our sport, and we allege that they wrongly associated our names with cheaters and doping," Sveshnikov said in a statement. "We are asking the court to review all of the evidence and to vindicate us." The allegations laid out in the lawsuit have not been proven in court. A spokeswoman for the Montreal-based WADA said the agency was unable to comment since the case was pending. McLaren said in an email he stands by his report, adding Monday afternoon that he had "not been served with any lawsuit." "I will defend myself whatever the suit may be," he said. Last year, McLaren detailed in two reports an orchestrated program of cheating that involved the Russian ministry of sport, FSB security service and national sports and anti-doping bodies. The investigation found more than 1,000 athletes covering 30 sports benefited from Russia's doping program, which helped the home team win medals at the 2014 Sochi Olympics and 2013 track and field world championships in Moscow. Sveshnikov, 25, Strakhov, 22, and Sokolov, 29, all of the St. Petersburg-based Lokosphinx team, were planning to compete in the men's pursuit competition in Rio, but were banned shortly before the Games by cycling's world governing body after they were implicated in the McLaren Report. Their appeal to the Court of Arbitration for Sport was unsuccessful and their spot was given to Italy. Anti-doping officials called for Russia to be completely banned from the Rio Games, but Olympic leaders left it up to individual sports federations to decide which athletes should be cleared to compete. Over 100 athletes were excluded from Rio, with the International Olympic Committee approving the entry of 271 Russian athletes on the eve of the Games. The cyclists appeared Monday via video link at a news conference with lawyers Eric Block and Valentin Borodin. The lawyers and athletes provided statements but declined to get into specifics on the lawsuit since it was now before the courts. In the statement of claim, the plaintiffs are seeking general and special damages in the amount of $6 million, punitive damages of $1 million, interest and court costs. They're also seeking declarations that "the defendants have no reputable evidence to suggest that the cyclists were using performance-enhancing drugs at any time" and "the statements made by the defendants regarding the Russian doping scandal do not apply to the cyclists." The claim states that the cyclists have a "long history of clean doping records," while also providing details on Sveshnikov's positive test for clenbuterol hydrochloride in January 2014. Sveshnikov was cleared by the Russian Anti-Doping Agency, the claim said, after RUSADA confirmed the substance found in his system was not due to steroid use, but instead originated from tainted meat he consumed in Mexico. Russia's status for the upcoming 2018 Pyeongchang Winter Games in South Korea remains uncertain. IOC president Thomas Bach said last month that no decision will be made about Russia's participation until two committees investigating doping allegations against the country have completed their work.